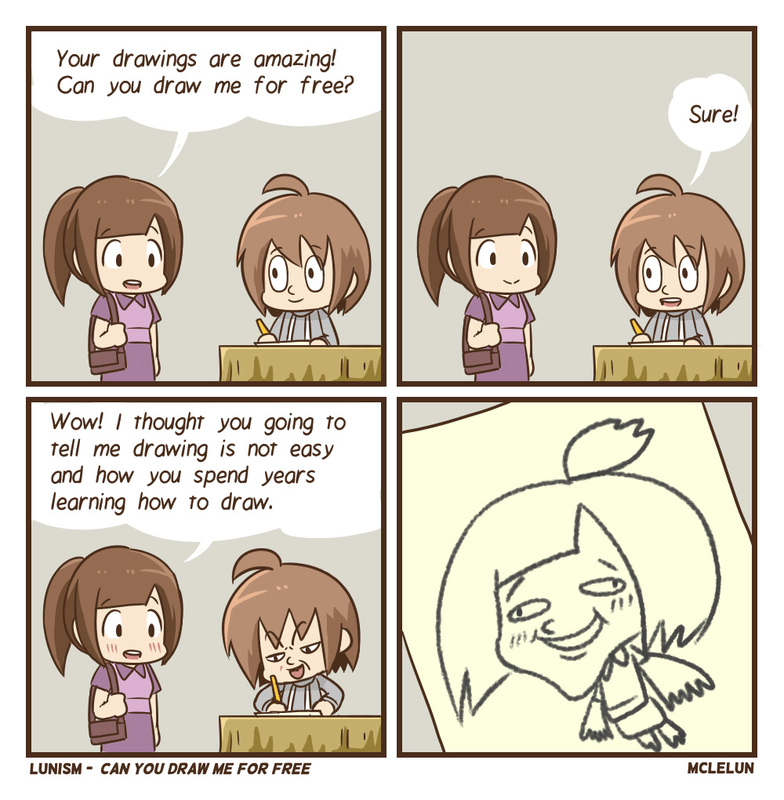 Can you draw a picture of me for free? If girls then yes. Proceed to draw ugly picture. If guys then no. Proceed to flip table and lecture him drawing is not easy and should not be free.